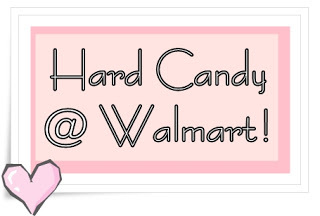 It's no secret how much I love the Hard Candy cosmetics line. I've reviewed their products countless times on this blog. Most of you already know that the line re-launched a few years ago and can now be purchased at Wal-Mart stores, and online, all over the country. Hard Candy carries a full line of products - from lip gloss to foundation, blush to powder, eyeshadow to lipstick...you name it, they make it. Today I'm reviewing two items from the Fall 2012 line: the All Glossed Up Shockingly Glossy Lip Pencil in Pout & the Single & Loving It Eyeshadow in Infatuation. The All Glossed Up Shockingly Glossy Lip Pencil is a steal at $6. It provides a sheer pop of color without being sticky, nor does it feel heavy on the lips. That slight blush of color is really "in" right now, and I must say that this pencil works just as well as it's more expensive counterparts but is much easier on the wallet. 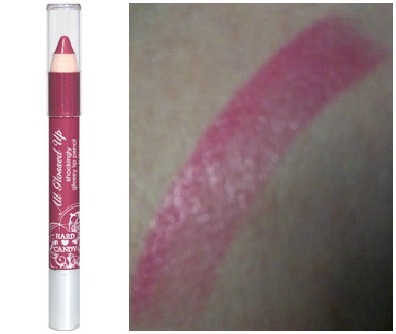 "Pout" is a rosy, hot pink that is perfect for Spring. Simply swipe on one layer for a dewy, natural look or use multiple layers for a daring, edgy neon look. The formula is smooth and the gloss-factor is out of this world! The Single & Loving It Eyeshadows are individual compacts of a single color that come in a variety of shades. There is quite a lot of eyeshadow per container so it really makes the price of $3 seem like an incredible bargain! The eyeshadow formula is heavily pigmented, so you don't have to use a lot to get the effect you want. The formula is also lightweight and felt soft & creamy to the touch. "Infatuation" has a lovely pearlescent luster. The color itself is a shimmery beige with just a touch of pale pink. It's the perfect color to use for highlighting or if you're just going for a 'natural' look. 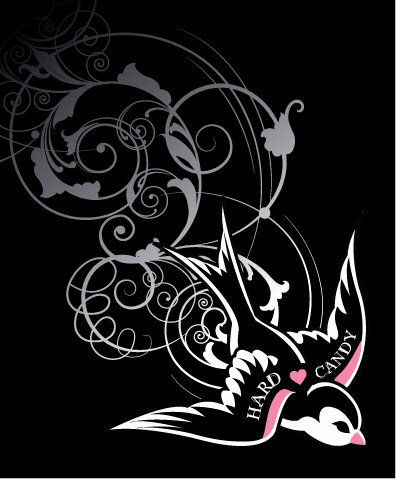 Hard Candy Cosmetics creates a wide array of products that are sure to please. They're youthful, fun and best of all - completely affordable! You can buy the entire collection at Wal-Mart! Follow Hard Candy on these social networks to stay in the know on all the latest news! Items reviewed above were provided free of charge from DNA Publicity in exchange for an honest review. No money exchanged hands and all opinions are my own. Thank you, DNA Publicity!